Vegan Lunch Box: My Laptop Dreams Have Come True! My Laptop Dreams Have Come True! Do you see it? Yes! One of the small-sized container comes with a LID! I've so wished for a lid to seal in smaller servings of applesauce, soft fruit, pudding, etc. I used to cover the small container with plastic wrap held in place with a rubber band if the item I was packing was a bit wet. Well, no more! Bento Buddies 2.0! This is a separate set of containers you can buy for this new system, and it features one giant container that takes the place of the two large containers!! Woo! The new system doesn't have that line going between the two spaces, so the new giant container fits right in there. Do you have any idea how many times I have longed for something like this for the Laptop? It's the perfect size for a whole sandwich, or a good-sized salad, or for one large serving of any kind of main dish. Unfortunately, there is a bit of bad news: these new containers won't fit in the original Laptop Lunch System, so you'll have to upgrade to 2.0 if you want the nifty new sizes and lids. Right now I'm holding the new system up next to the original Laptop, and the new systems are also a bit larger than the original. They're not bigger by a whole lot, but it's enough that I can see fitting larger servings into this one, servings that might even keep my big-appetite shmoo full. Stay tuned for shmoo's first lunch packed in the new system! Hi there how are you? I was trying to find an email address so i could contact you? I would love to buy the new kit, but my kids cannot figure out how to open the kits, so I have 2 of the old kits still waiting to be used! I cannot justify buying the new ones without having ever used the old ones, ugh! My kids have loved their Laptop Lunchboxes for two years - and I too have wished for the new upgrades. I am happy for 2.0, but none too excited about another lunchbox investment of that size! Sigh. These look great. After two years of being on the fence about spending the money on Laptop Lunches, I finally bought them about a month ago. Don't you hate it when you buy something, and the company comes out with a new version shortly after that? But, still. I'm glad to see the smaller lid, and the giant container is pretty cool, too. I am having an "OMG moment" right now...this is so cute! I have to say that I've followed your blog for awhile now, but hadn't read your book until just the other day...it's my favorite cookbook on my shelf right now. You are so creative and your menus are an inspiration. Thank you! I can't wait until they come out with a system that doesn't have aliens or flowers - THEN I will buy two and a few sets of the Bento Buddies too. How exciting! Thanks for the great review, Jennifer! The Bento Set 2.0 (without the carrying case) and several Bento Systems 2.0 in solid colors will be available in August and September. Stay tuned! Just wondering how leakproof the new lidded containers are. I have had problems in my old set with the large lidded one if I am taking something like soup. Are the new ones a little more watertight? Ficbot you should take contact to the company because that lid shouldn't leak at all. We will start offering the Bento Set 2.0 and the new carrying cases separately around August 1st. Thanks! Add me to the list of fans, in theory anyway. LOVE the new container sizes and all the LID options (the very first week my then kindergarten dd took hers to school, with applesauce under press-n-seal, she came home in tears when the leftovers had leaked out onto her bag). Love the flowers. Dig the new stainless utenstils. But, with $120 sunk into our 2 current systems and their accessories, I can't justify another $106 to start all over again. Maybe someday . . .. Lucky for those just finding y'all though - it definitely looks like it made a great system even better. I'm a huge bento fan but have never bothered buying a laptop lunch box because I felt it was too flawed without lids. I don't exactly pack things that would sit in open containers without ending up all over the place and have had a couple of messy situations even with bentos that *do* have proper lids! Awesome - I might consider buying one now!! I was so excited when I saw this too! I've been just taking containers out and using the outer box when I wanted to pack things like sandwiches or big salads. Hooray! share websoite to you can download movies. A while back you posted about Dr. Fuhrman's Pixie-Vites not being vegan. What have you found to replace them? 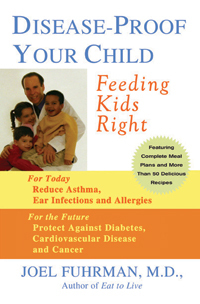 I have been giving my kids the VegLife kids' multis. They like the flavor, but I'm not thrilled that they contain isolated soy protein. 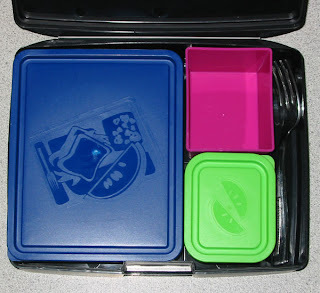 >>I really miss all the daily blogs about the lunch box meals! I do, too. My husband and I are going through a divorce right now, and things are just ... tough. Sadly I haven't felt able to pull anything together for the lunch box blog in a while. I hope to blog again when things settle down into a new routine. 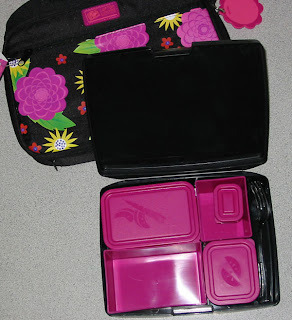 I do love the 2.0; today I shopped for my 5 year old's laptop lunch box online and was torn. I ended up buying the original with some extras (our little dip container lid broke in just a few months) so that the girls can share the containers inside. After two years, we still love it! Some day I might upgrade to 2.0 but with 4 girls, the original is more economical. Sorry to hear about your situation, I do hope inspiration hits and we get some more great ideas for lunches. I WANT ONE!!!! I was just getting my daughter lunch together this morning and trying to fit ALL of the containers into her lunch box was worse than a jigsaw puzzle. They don't fit quite right. This would be Awesome! !